Quilted for luxurious softness. 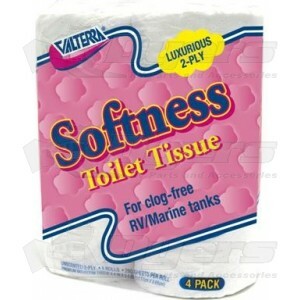 Safe for all portable toilets, RV, Marine, and septic systems. Dissolves quickly without chemical tissue digesters. 2 ply, 280 sheets. 4 rolls per pack.